The House version of the 2019 fiscal year Homeland Security budget, is set to cut $750 million in proposed funding for a new icebreaker — diverting some of it to fund a border wall, and increase the Immigration and Customs Enforcement. On Wednesday, the U.S. House of Representatives’ Appropriations committee approved its Homeland Security Appropriations Bill for fiscal year 2019 — and funding for a new heavy polar icebreaker is notably absent from the bill, critics say. A floor vote on the appropriations bill isn’t yet scheduled, with members departing for August recess. Efforts to update the Coast Guard’s icebreaker fleet date back years. In June 2013, a Homeland Security Department document recommended that the agency add three heavy and three medium icebreakers. After a 2015 visit to Alaska, Pres. Barack Obama promised additional spending and a fast-tracked timeline for new icebreakers. Pres. Donald Trump made similar promises in a commencement address at the Coast Guard Academy last year. 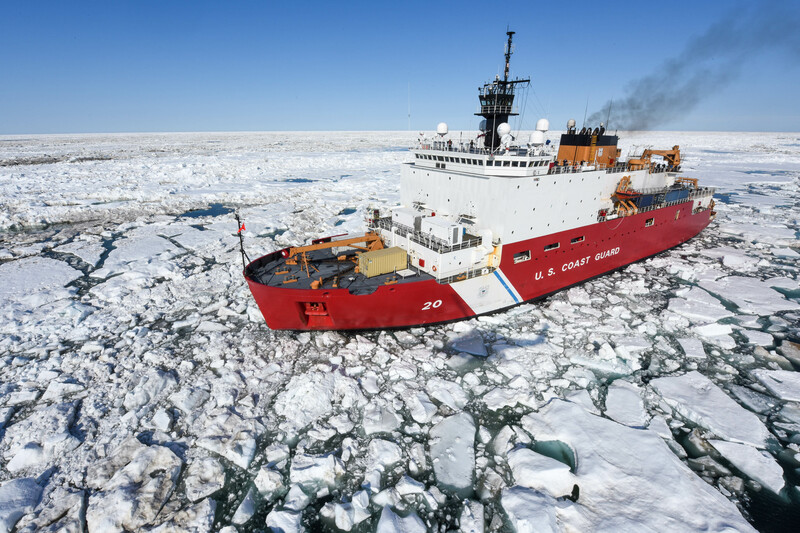 Over the past five years, the plan to update U.S. icebreaking capacity has also gained bipartisan support in Congress. Pres. Trump asked for $750 million for an icebreaker in his Supplemental Budget Request this year, and the Senate version of the appropriations bill cleared the committee last month. Currently, the United States has two polar-capable icebreakers: the 18-year-old medium icebreaker, Healy, and the 42-year-old Polar Star, which is well past its 30-year life expectancy and recently broke down on a mission to Antarctica. Having only two icebreakers is particularly risky, because “if one gets in trouble, we don’t have self-rescue capability,” Adm. Paul Zukunft, the former commandant of the Coast Guard, said recently. Russia, in contrast, has 41 icebreakers in its fleet, and plans to launch two ice-capable corvettes armed with cruise missiles. In addition to cutting the U.S. icebreaker funding, the House bill would also cut $10 million in research and development funding of the Coast Guard — the primary U.S. military force in the Arctic. In the most recent version, some of those funds would instead be directed south — $4.9 billion for a border wall, and $328 million for the Immigration and Customs Enforcement budget. News of the House bill’s cuts came as a surprise to John Farrell, executive director of the U.S. Arctic Research Commission. “These vessels are instrumental in supporting scientific research at both ends of the world,” he said. Calls and emails to Reps. Rodney Frelinghuysen and Kevin Yoder, Republican congressmen who chair the House Appropriations committee and Homeland Security Department subcommittee, respectively — as well as to Rep. Don Young, Alaska’s sole Representative in the House and previously a vocal supporter of plans for new icebreakers — weren’t immediately returned. A Coast Guard spokesperson also underlined previous support for the icebreaker program in Congress, and said he hoped the final appropriation bill would see the funding restored.